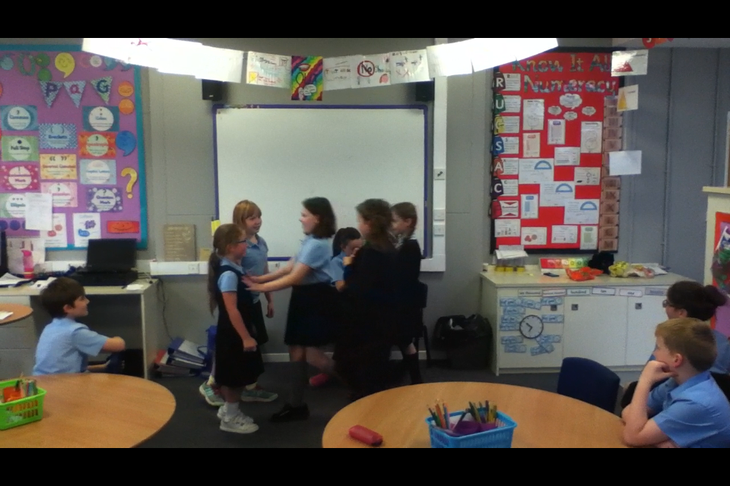 In Year 6, We looked at tension techniques and tried to use these in our own writing. 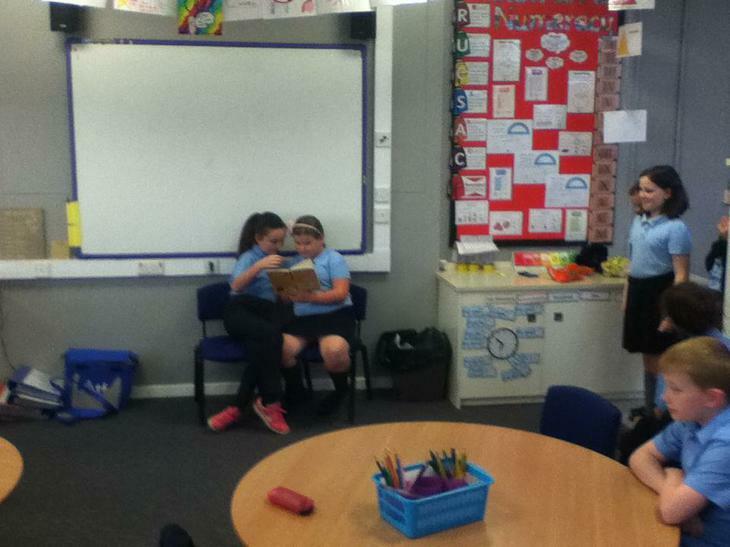 Look at some of the vocabulary we have clarified. 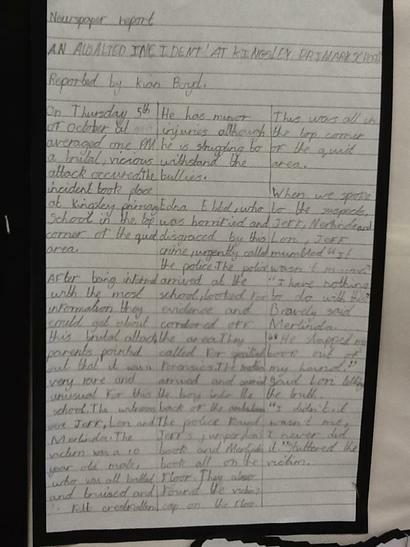 Can you spot example of figurative language in our writing? 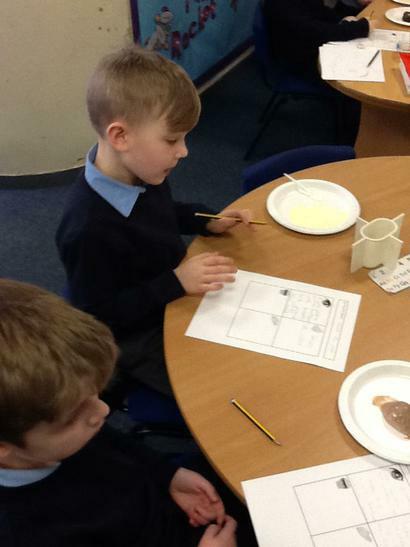 We used ‘Talk for Writing’ to plan our work. 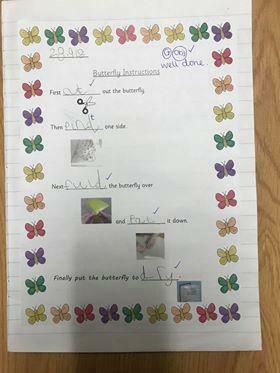 Using our pictures, we rehearsed each sentence before writing. 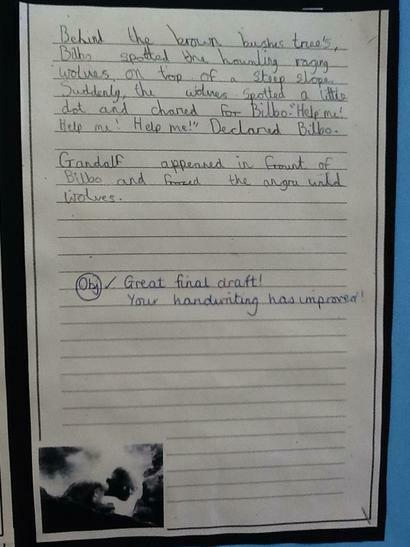 We summarised the description given in the text and drew a picture of the setting. 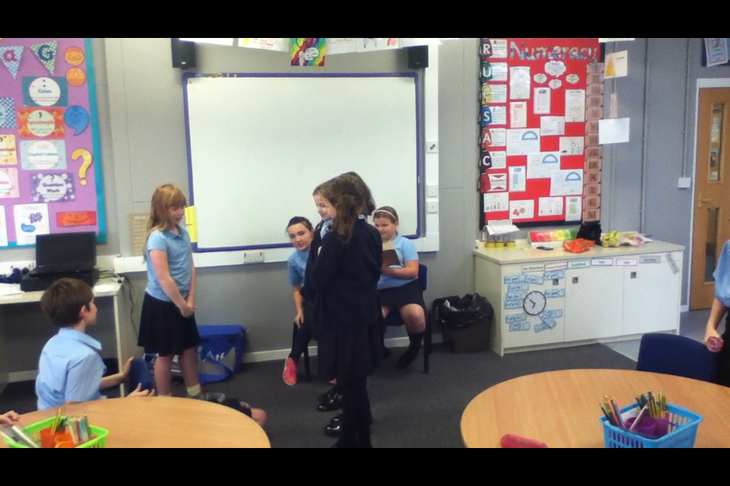 We practised identifying examples of figurative language and explored their meaning and effect on the reader. 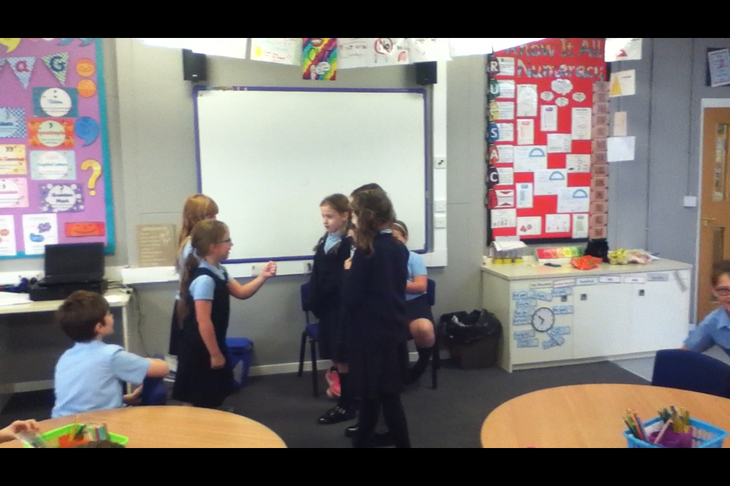 In year 6 we have been trying new strategies and games to help us learn our spellings more effectively. 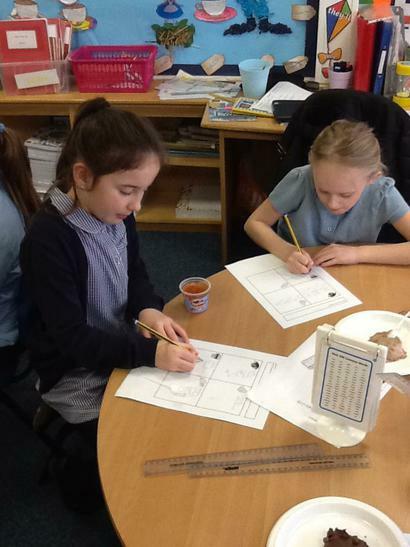 In Year 1 we have been looking at writing instructions, using interesting adjectives and writing a retell of our class story. 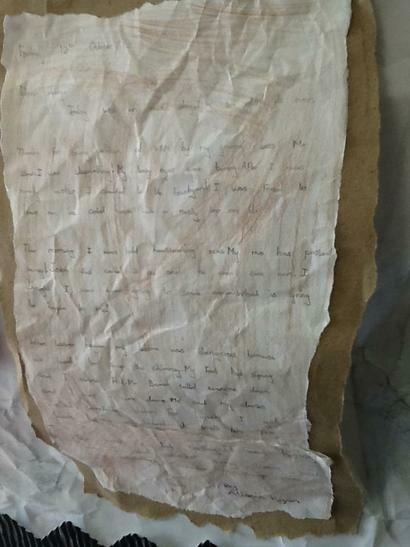 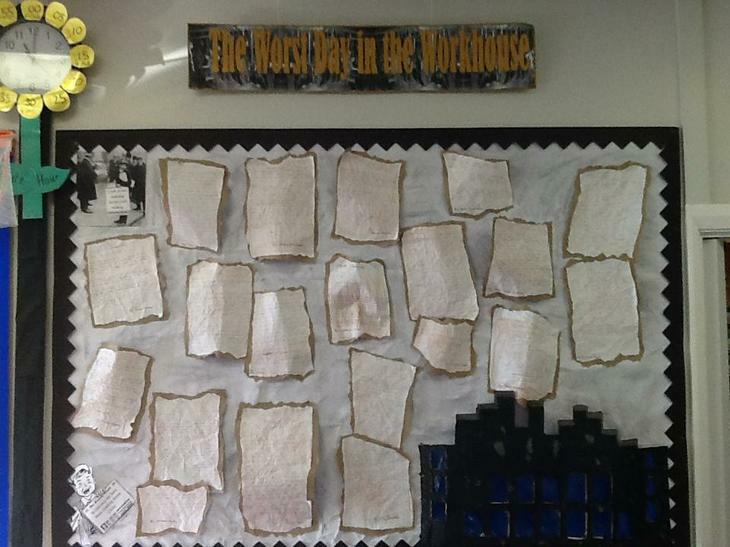 In Year 4, we have really enjoyed reading Street Child by Berlie Doherty and have created some excellent writing as if we were Victorian children in a workhouse. 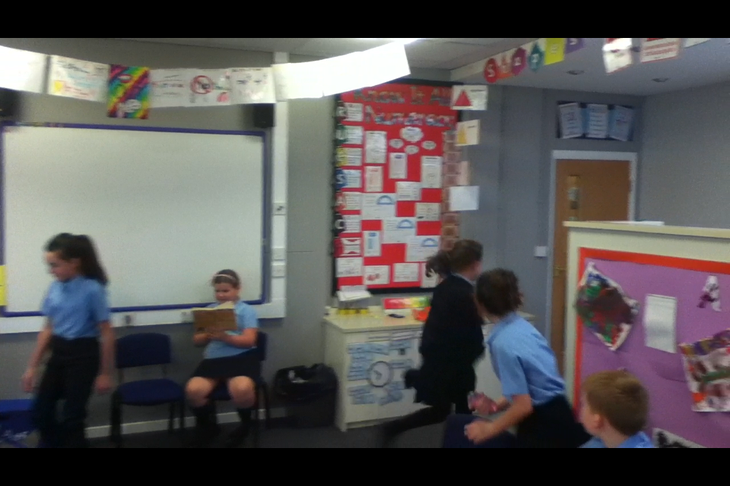 We created some very emotive freeze frames recreating what being a workhouse would feel like. 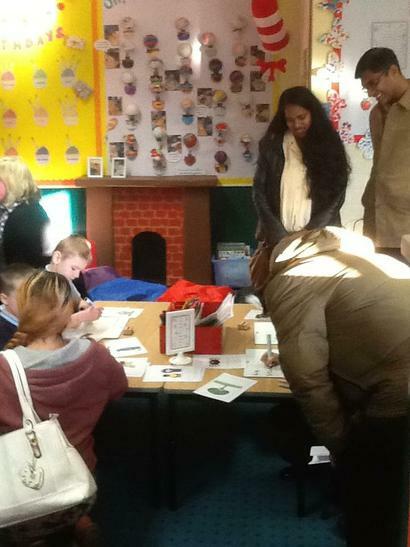 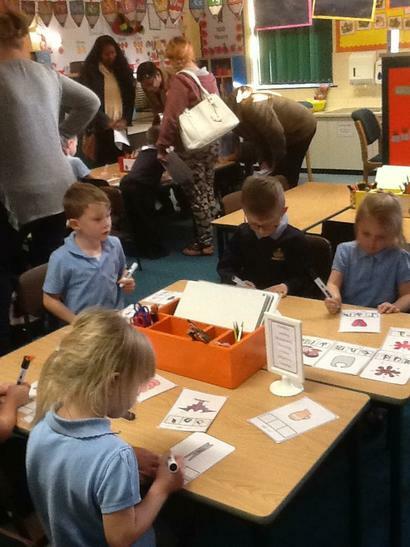 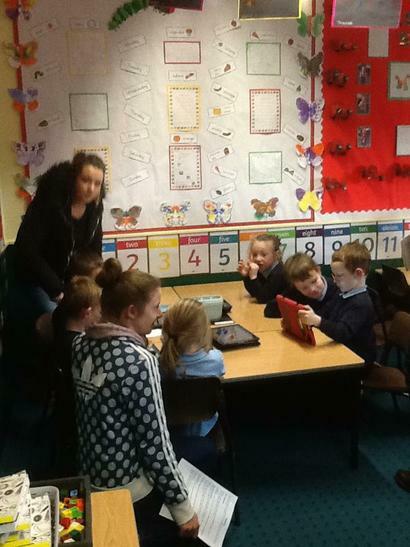 Thank you to our parents and carers who attended to our phonics afternoon to support our children in their learning. 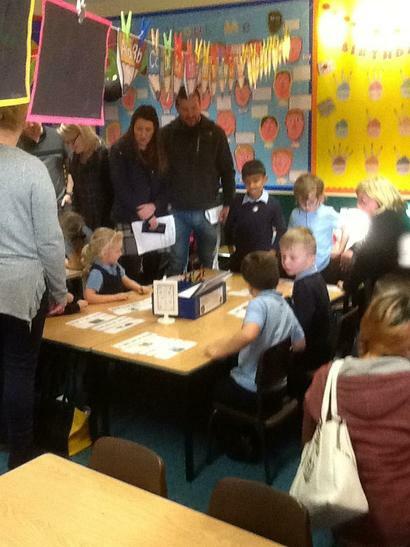 The children have thoroughly enjoyed showing the adults how we learn to read and write using a range of phonics activities. 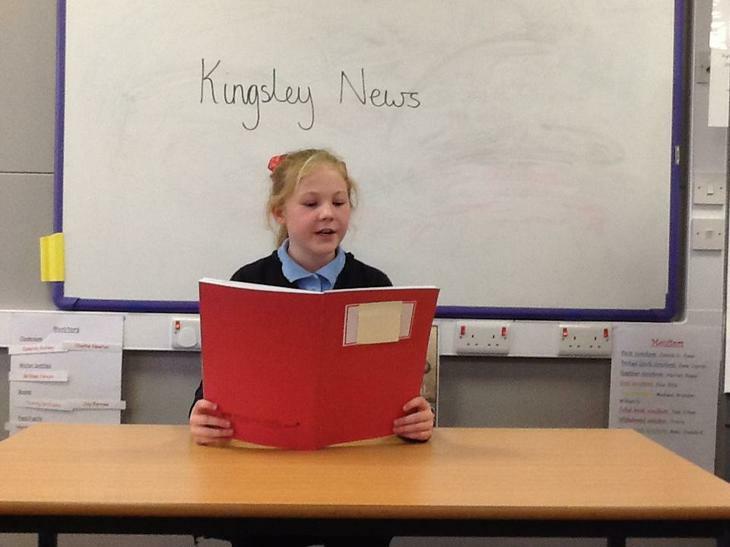 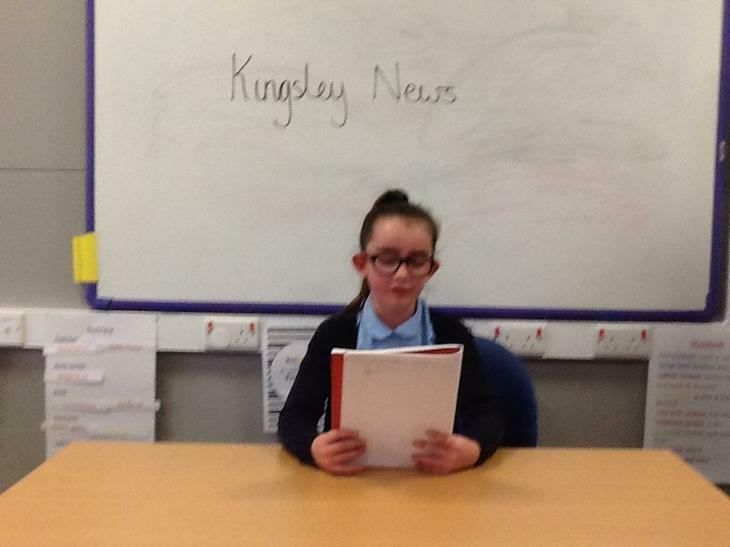 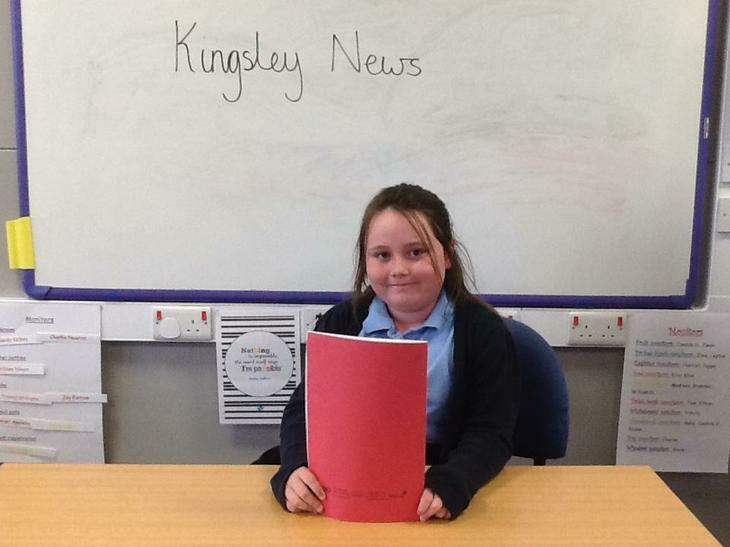 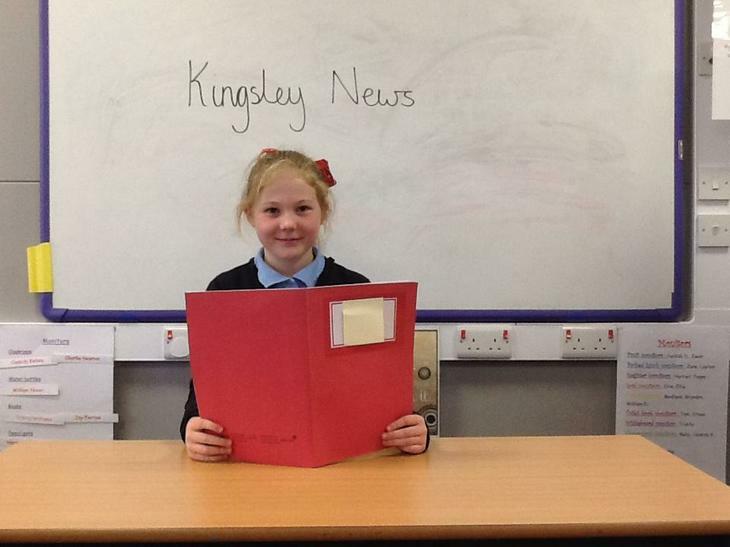 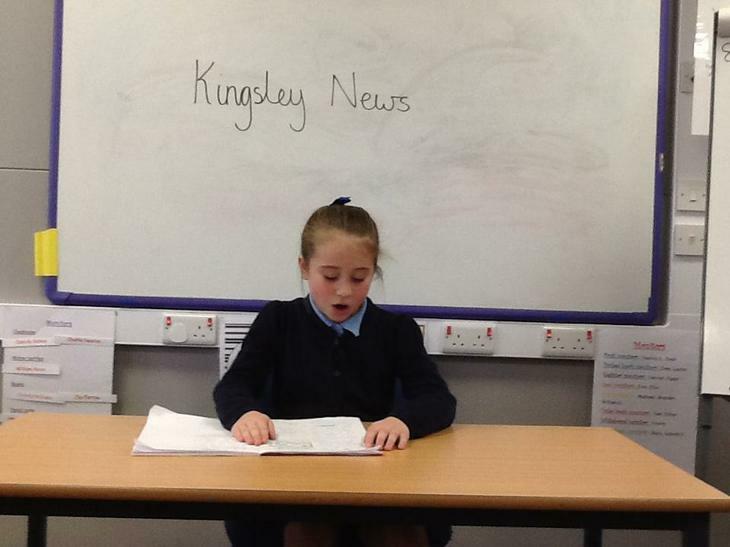 In year 5 literacy we have been writing our own newspaper reports. 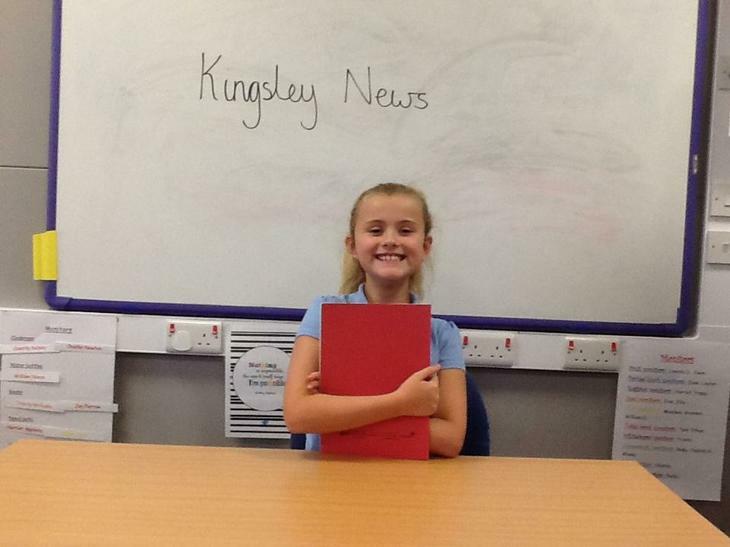 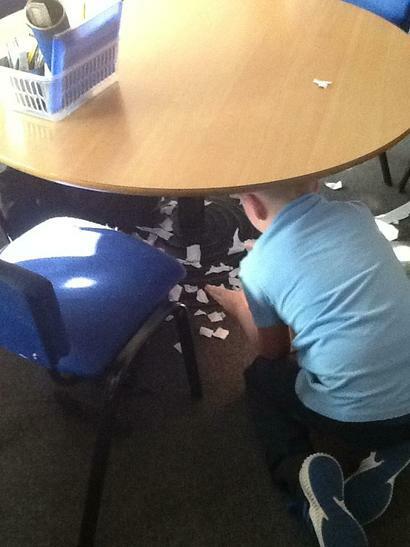 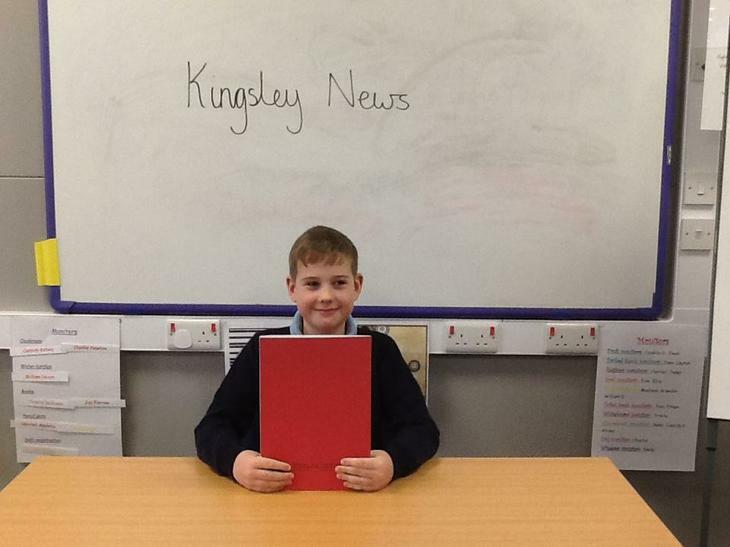 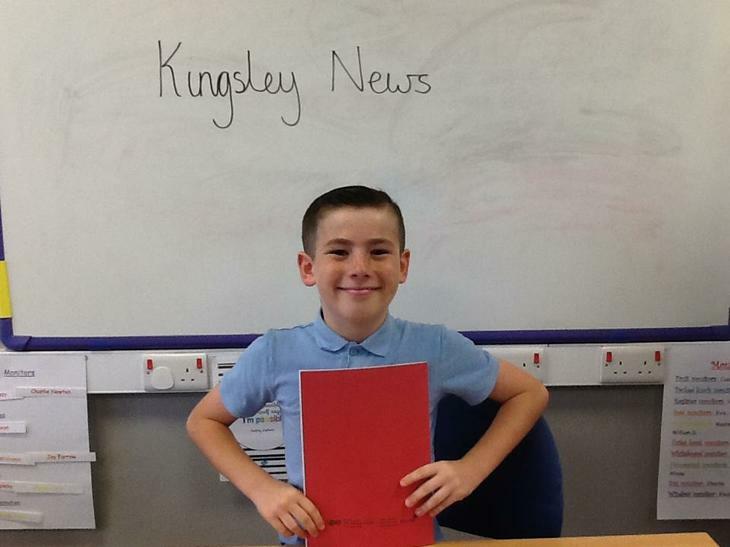 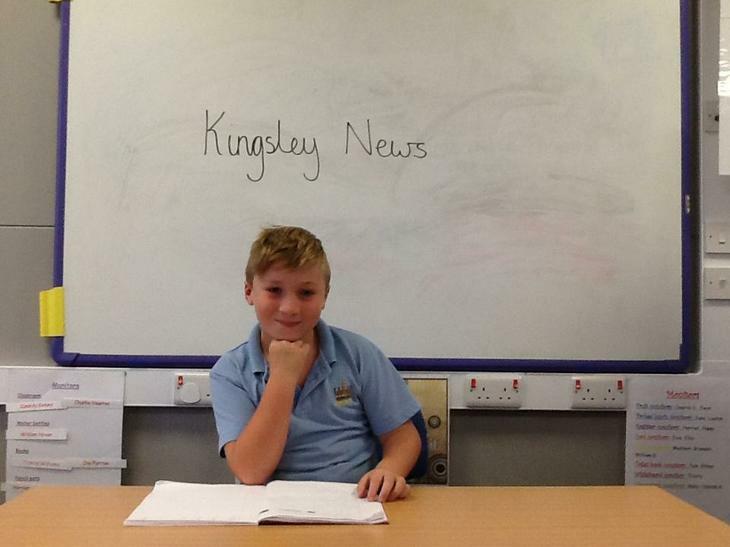 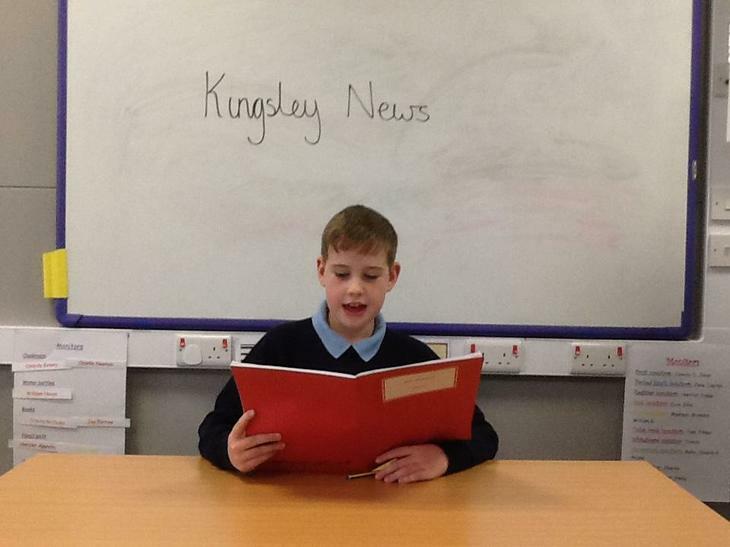 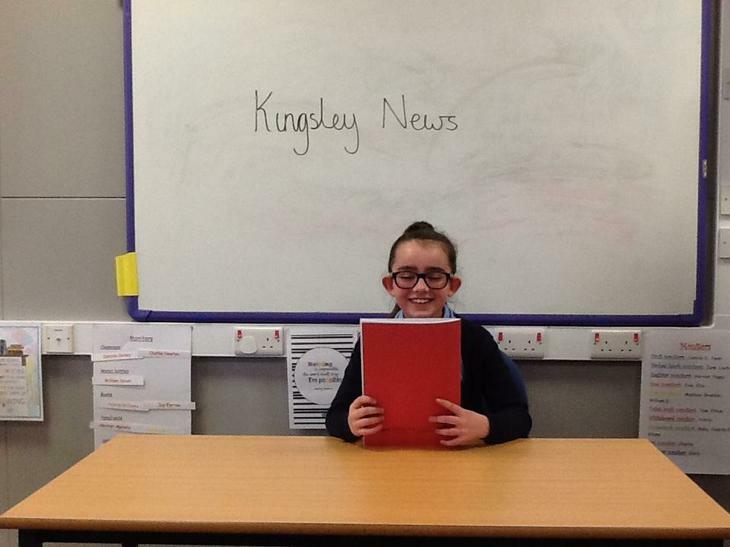 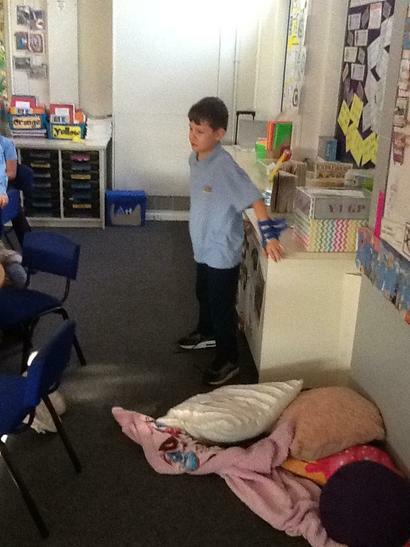 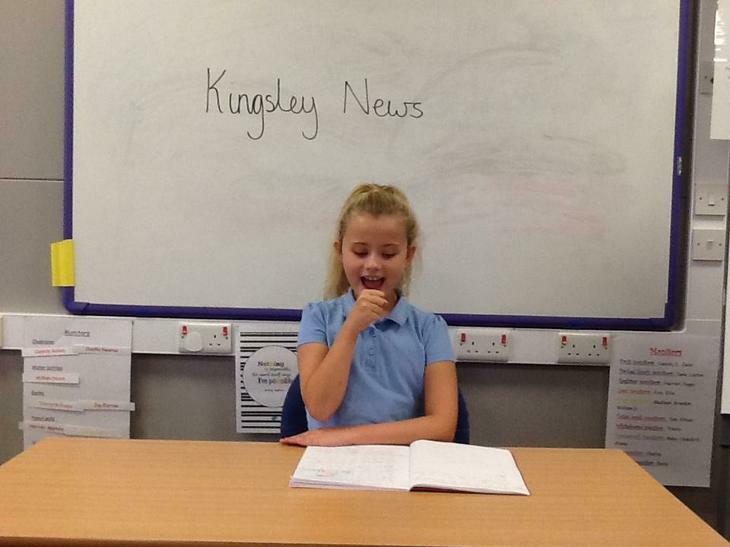 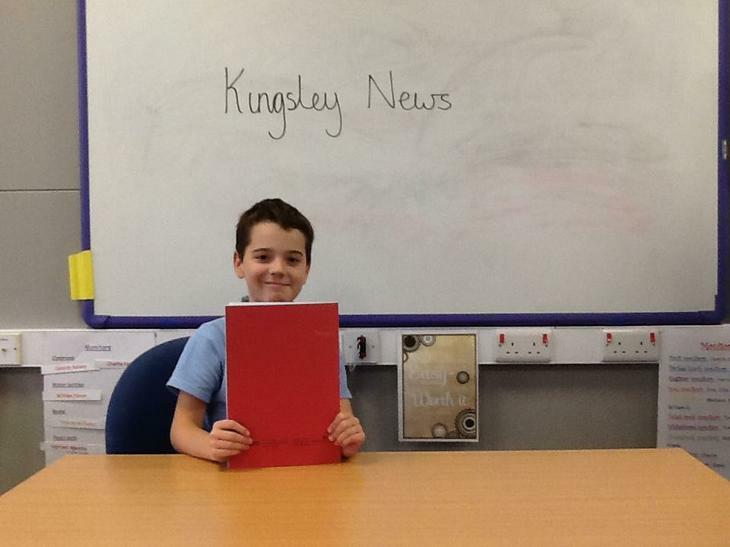 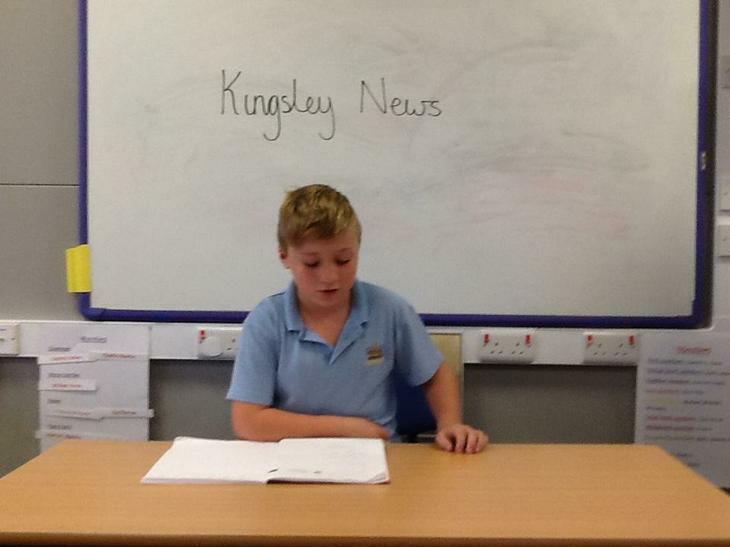 Bradley Chalkers ransacked Year 5 Kingsley classroom to give us an experience of what his own class would be like. 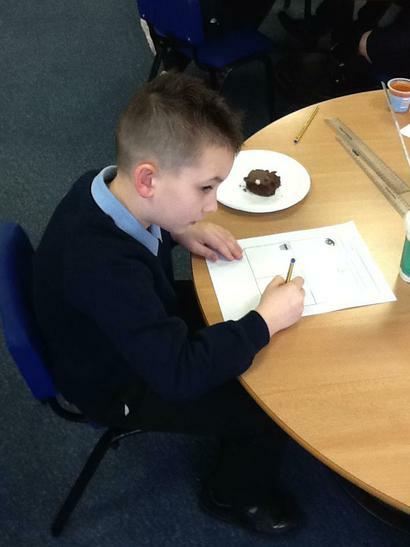 Look at some of the wonderful work we have been producing in Literacy across the school. 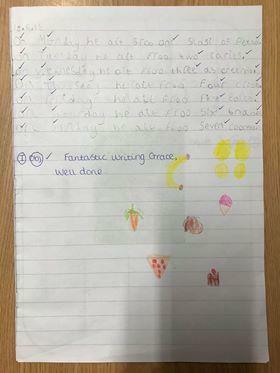 We are so proud of our amazing work in Key Stage 1. 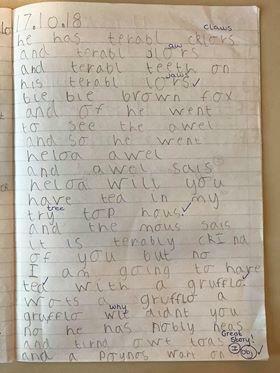 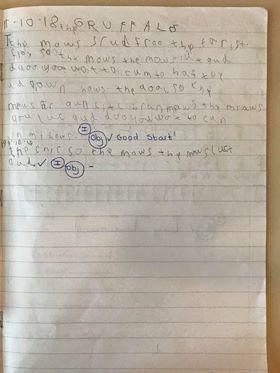 There has been some excellent writing going in Year 2. 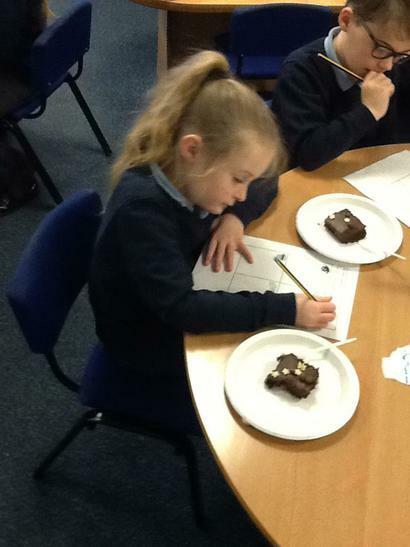 In Year 3, we began planning a piece of writing about our favourite dessert. 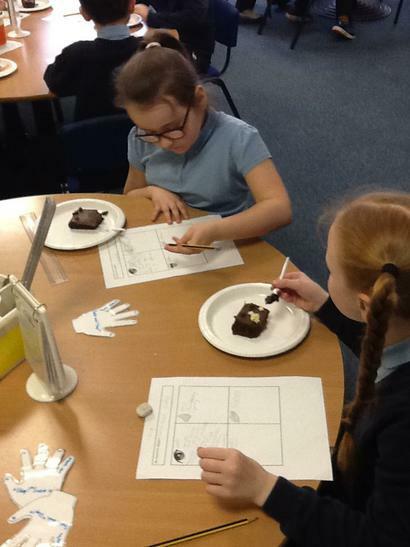 To help us plan, we each chose our favourite dessert and used each of our senses to describe – the look, smell, taste and texture. 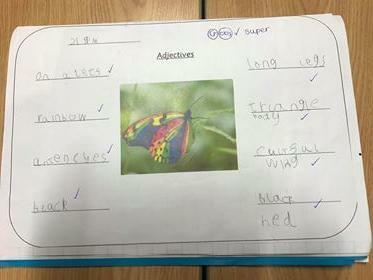 We had to think of some alternative synonyms for the adjectives. 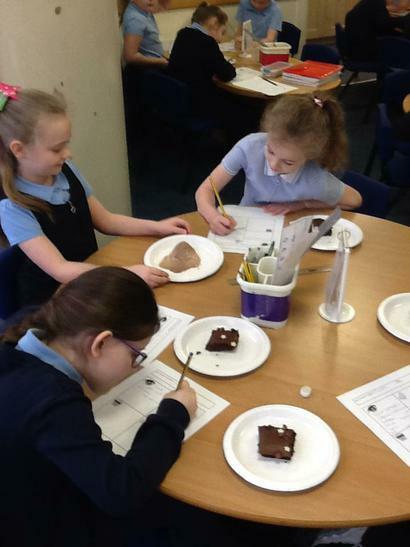 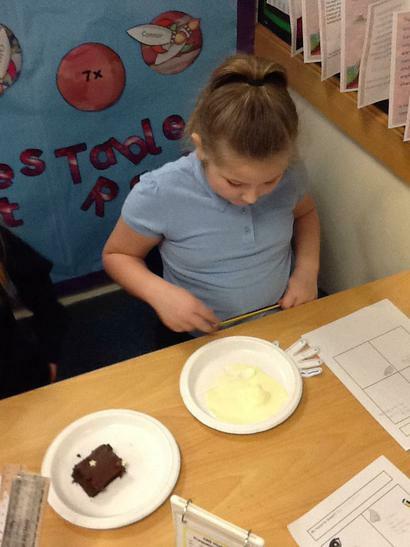 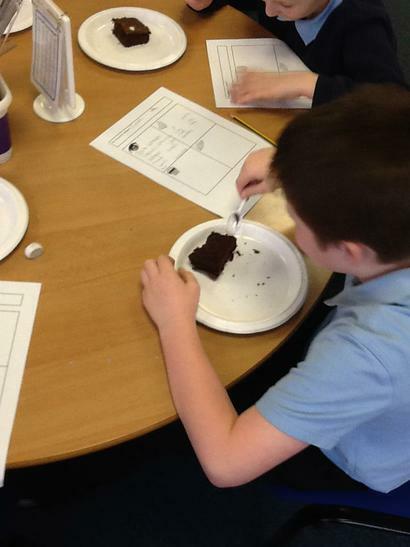 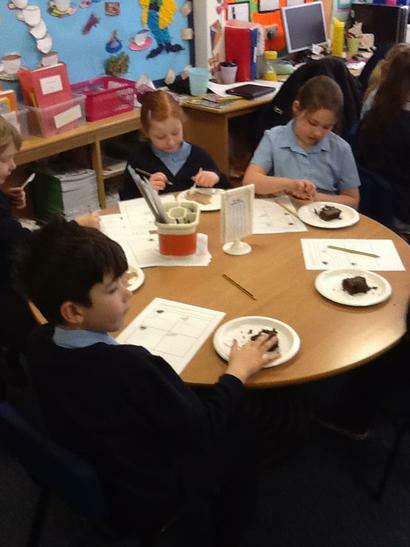 Then the best bit of the lesson....we got to eat our chocolate cake or ice cream – we had vanilla, chocolate and raspberry ripple to choose from! 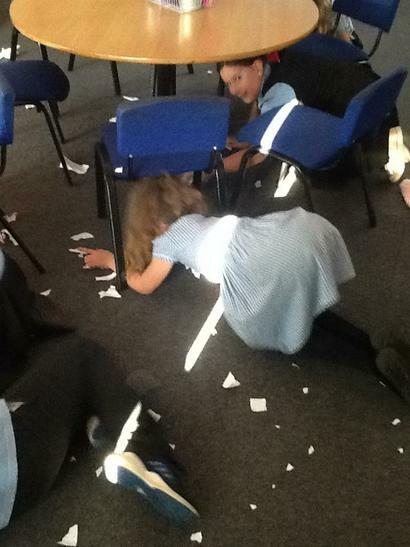 Year 3 have been using their imaginations to create exciting narratives about World War 2. 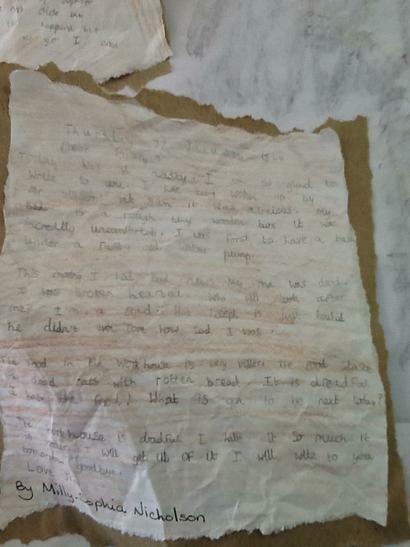 We used our understanding of WW2 to write letters home to our parents as though we were evacuees.We have also used "The Day the Crayons Quit" as inspiration for our own writing. 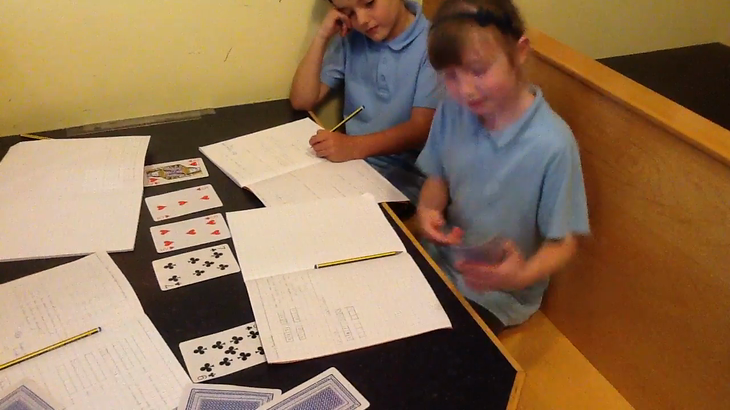 In Year 4, we have found some awesome ways to practise our spellings at the beginning of our Literacy lessons. 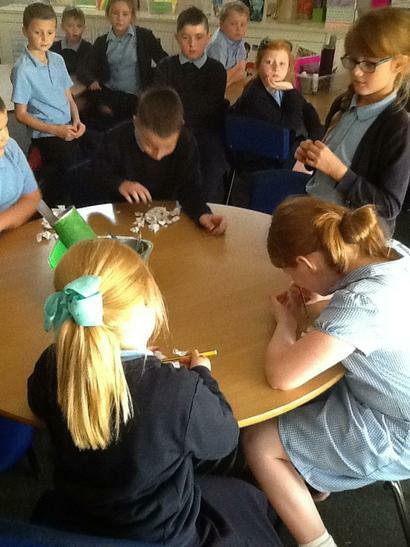 We use scrabble tiles, magnetic letters, whiteboard pens, highlighters and we play hangman too. 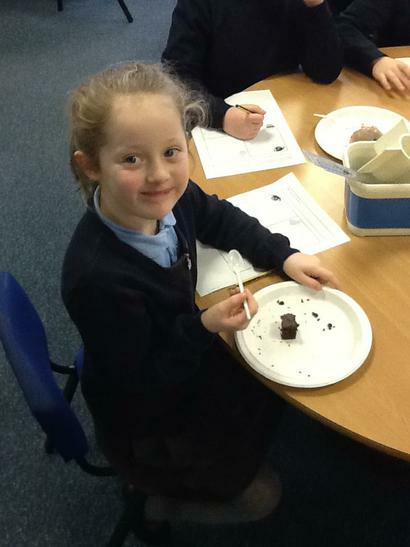 It is incredibly fun. 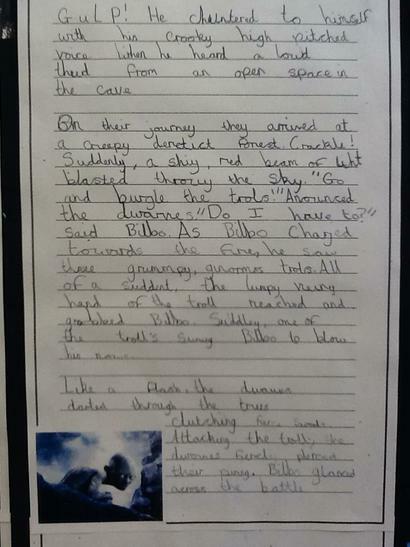 We have had an amazing time in Year 4 writing our own narratives and visiting Narnia at Space 2 Learn. 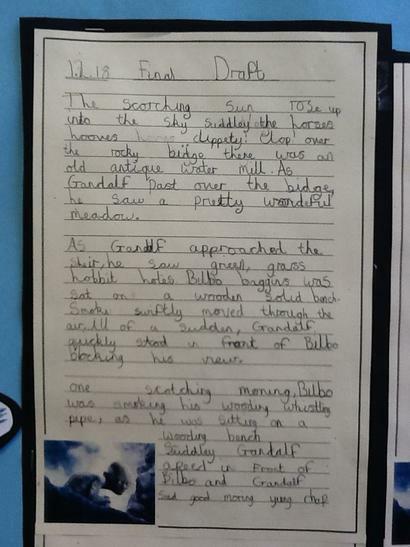 Year 5 have enjoyed reading and learning about the Hobbit. 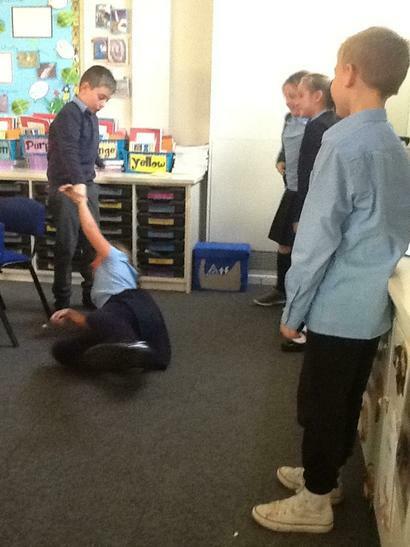 They used drama techniques to enhance their writing and used a variety of ways to practise spellings in order to apply these in their work. 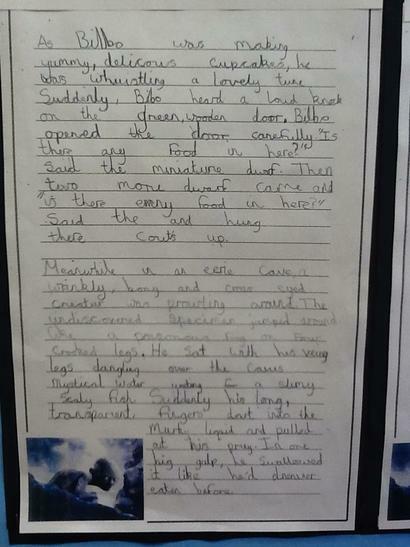 In Year 6, we have explored a range of genres throughout the curriculum. 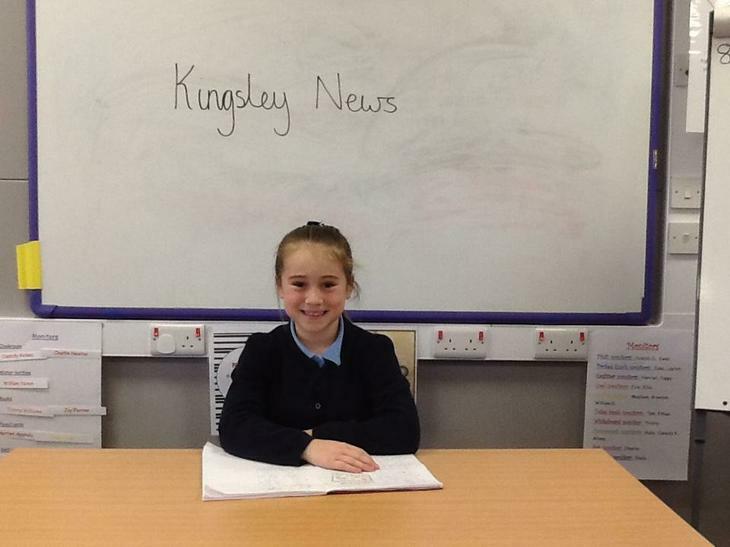 We expanded our knowledge of formal language to write newspaper reports based on the Suffragettes. 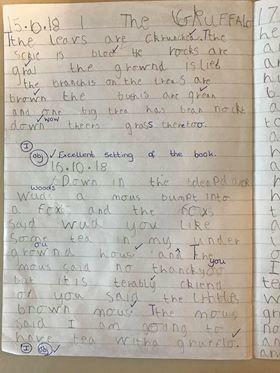 Reception have been writing all about the jungle in their Literacy work. 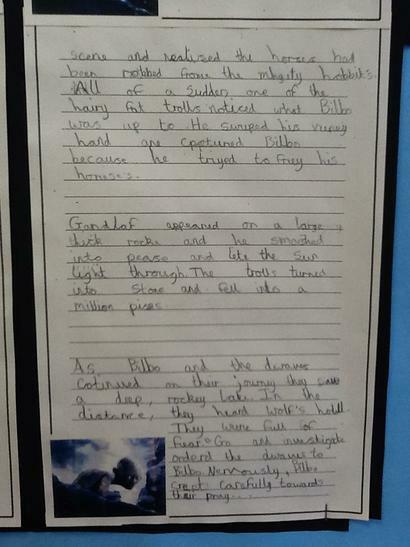 In year 1, the children have been writing their own version of the traditional tale 'Jack and the Beanstalk'. 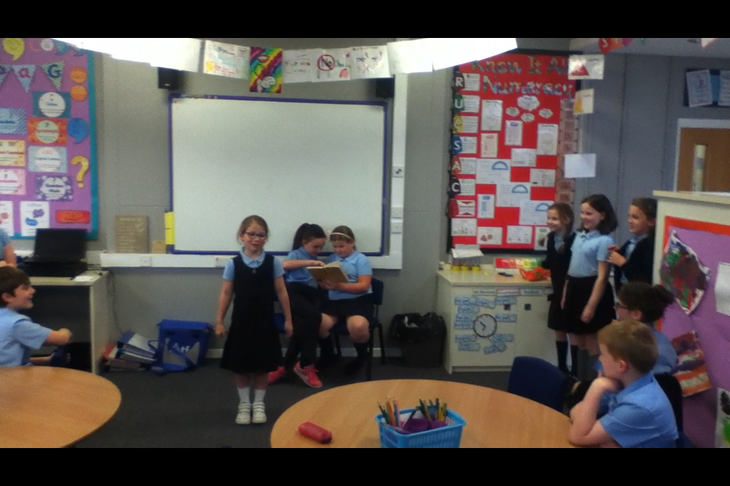 They have also taken part in hot seating, where they pretended they are one of the characters from the story and the other children asked them questions. 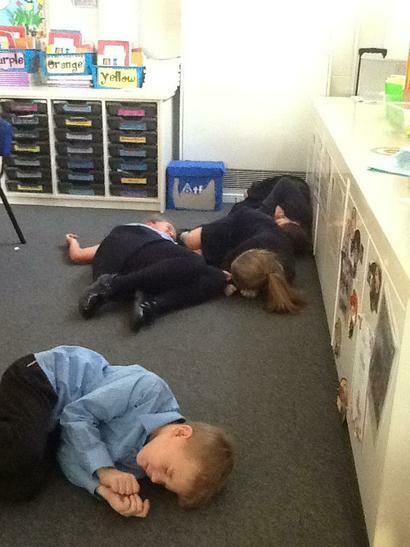 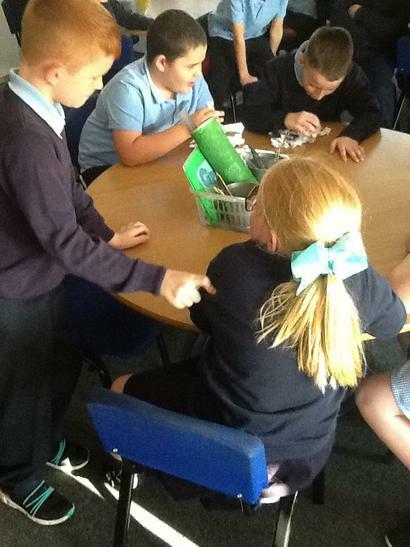 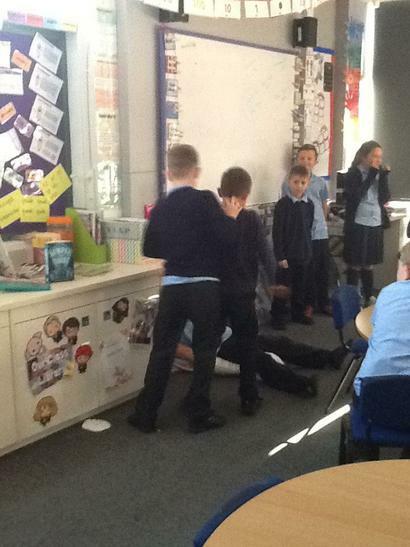 Year 5 have been bringing their class novel to life by using role play to really empathise with the characters. 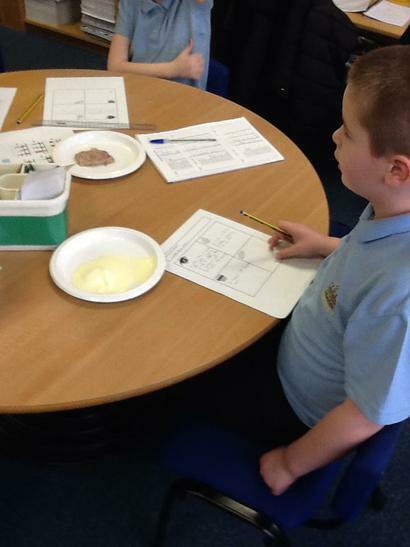 After creating their own unknown planets in Year 2, the children wrote a detailed description of their planet using some super vocabulary and adventurous adjectives! 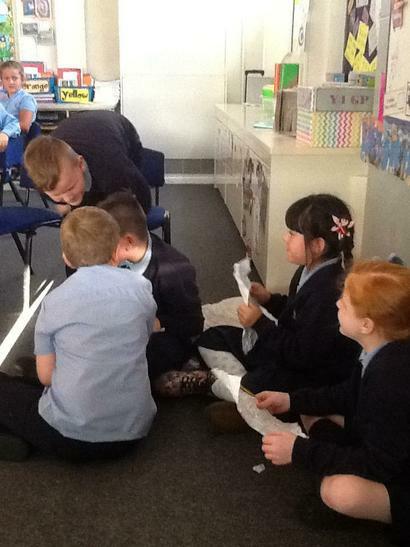 Year 2 have been working hard to read and review a selection of our favourite books!